Amazingly, - Maalfrid decided to create an entirely new design unlike anything she has made before, and which is not in any of her Norwegian knitting books. 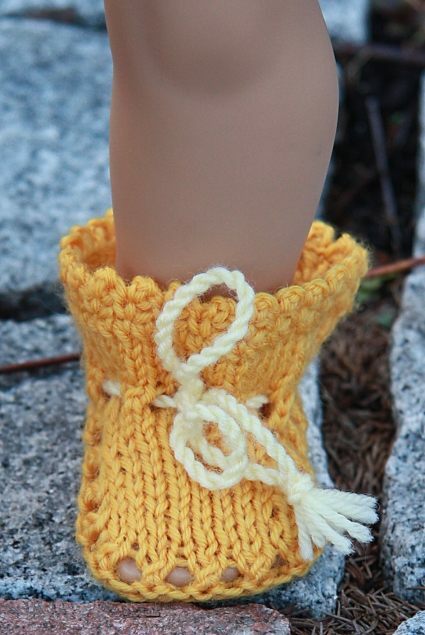 As usual, this is the right place to look for awsome doll knitting patterns. 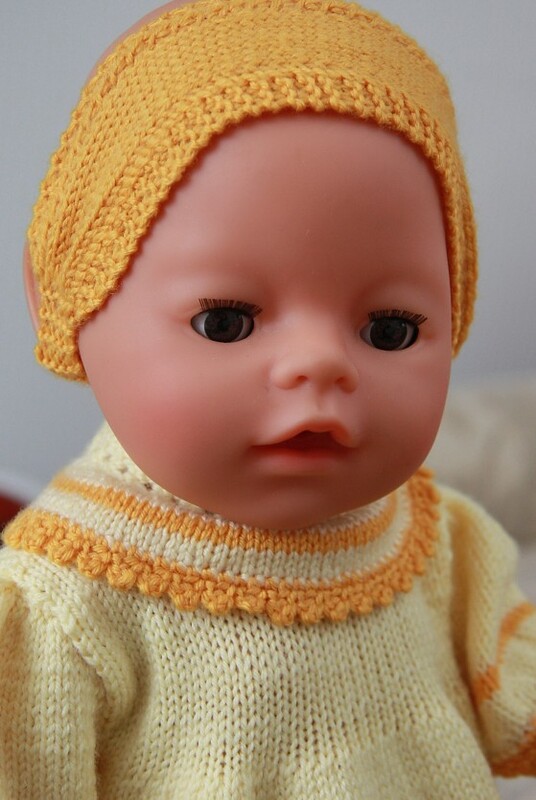 Goldtop is outdoor to try her new dress, and she do not care that much about the wind blowing in her hair. 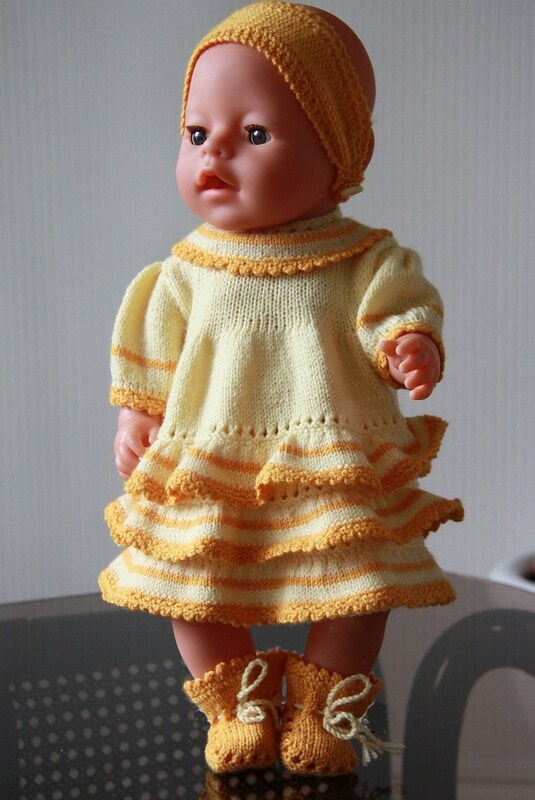 0048D GULLTOPP (Goldtop) Dress, trousers, socks and hair band. 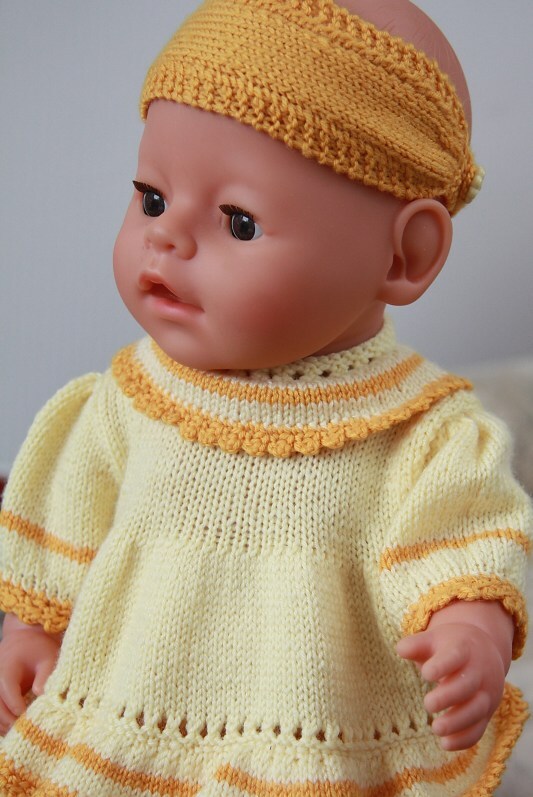 0048D GULLTOPP (Goldtop) Awsome clothes to your doll. Dress, Trousers, Socks and Hair band. I have your new pattern # 48 received. It truly is exquisite. The dress is stunning. Thank you for designing such beautiful clothes for the American Girl dolls. 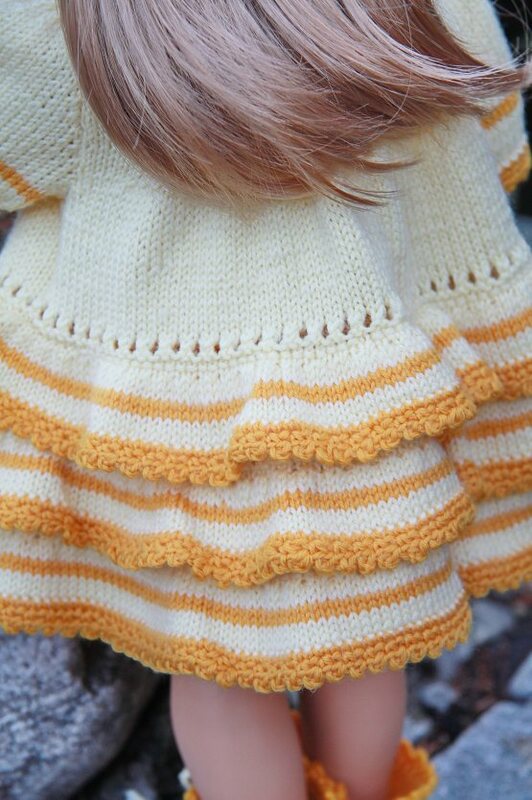 Furthermore, happy knitting and designing Målfrid!